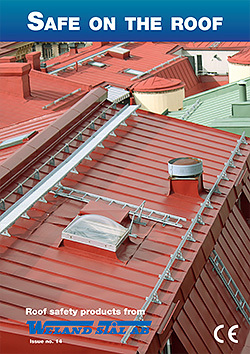 Safety on our roofs is important, both for the individual home owner and professionals who work on roofs All roofs that are accessed must have roof safety equipment. Alternative evacuation routes should be available on properties in case something unforeseen happens. Read or order our new brochure.